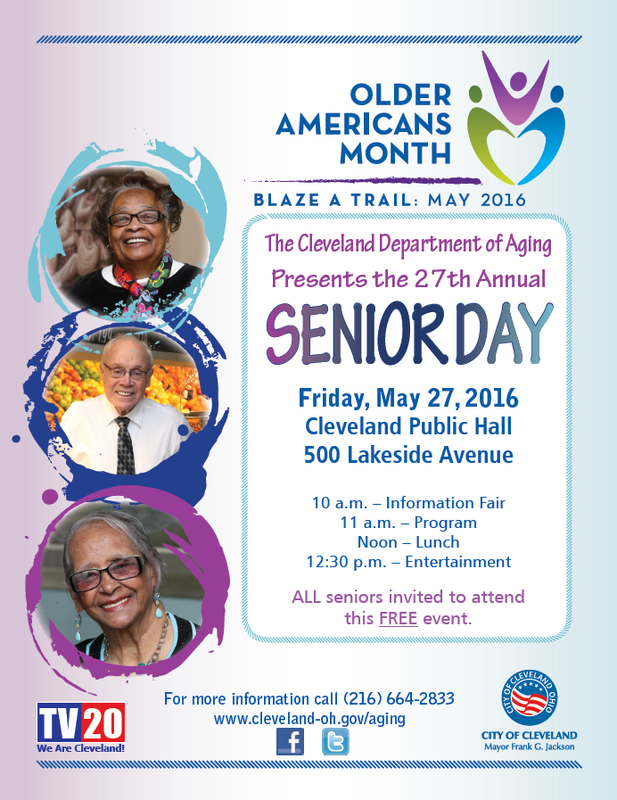 The City of Cleveland Department of Aging is celebrating the 27th annual Cleveland Senior Day at 10:00 am in Public Auditorium on Friday, May 27th. The event will include a resource fair with more than 50 agencies, an awards ceremony, music and much more. The event is free and open to the public.